The transgender woman who died Thursday, 10 days after she was found badly hurt and unconscious on a sidewalk in Chelsea, was beaten to death, the medical examiner's office confirmed Monday. Lori Bordonaro reports. 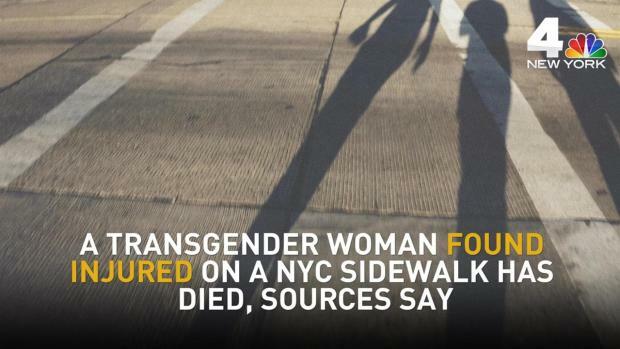 The transgender woman who died Thursday, 10 days after she was found badly hurt and unconscious on a sidewalk in Chelsea, was beaten to death, the medical examiner's office confirmed Monday. The 59-year-old woman, Brenda Bostick, was taken to Bellevue Hospital Center with severe head trauma after she was discovered on the street in front of a Five Guys on April 25. She died May 4. It wasn't clear if she had regained consciousness at any point before she died. It also wasn't known if authorities believed she had been beaten at the scene or moved there after an attack. No suspects have been identified, and authorities are asking anyone with information about what happened that night to call police. The woman was taken to hospital after she was found on the street April 25. She died 10 days later. "We're deeply troubled that right here in Chelsea, attacks are happening against trans women of color, against women across the city and in our community," said Beverly Tillery of the NYC Anti-Violence Project. Tillery says Bostick is the 10th transgender woman of color killed in the country so far in 2017, part of a disturbing trend. "What we do know is that incidents are happening all across the city, on the subways, in the streets, in the community, and many people are not standing up, or they don't know how to stand up," said Tillery, whose organization is now offering training on how to stand up to hate crimes. "We want people to understand that if we're gonna stop these homicides and these attacks against transgender people, we all have to participate and we have to stand up and say, 'This is not OK,'" said Tillery.